A large inviting deck welcomes you into this beautiful single level duplex. Enter the home where you'll feel at home in the cheerful living room with huge picture windows looking out to the pines. The large skylight adds plenty of natural light to the room. The kitchen is updated with oak cabinets and offers plenty of prep and storage space for cooking and entertaining. There are Four good sized bedrooms that offer plenty of space for everyone. Beautiful hardwood floors, newer vinyl flooring in the kitchen and dining room, updated bathroom, and updated windows throughout plus fresh paint, are just a few of the many improvements you'll find here. The home sits on a huge, .42 acre private lot overlooking open space and just across the street to the Walnut Canyon Trailhead. 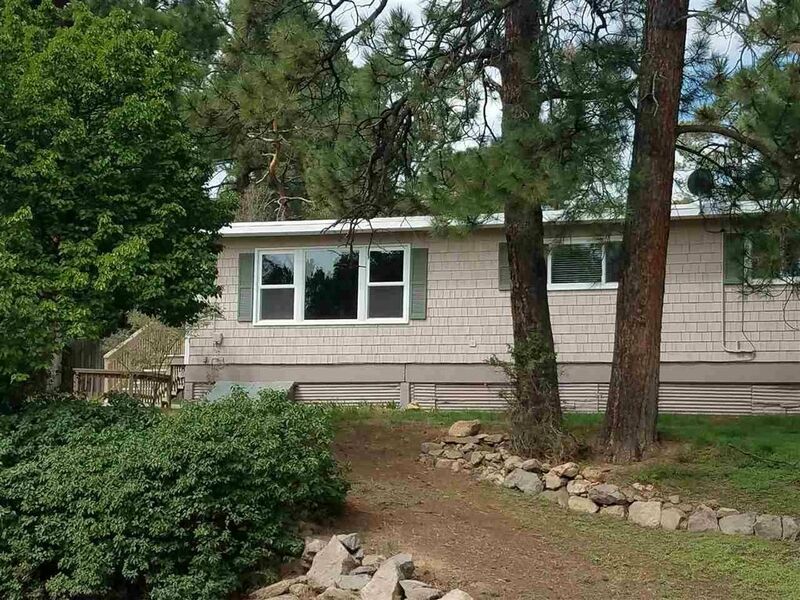 Located close to trails, restaurants, Aspen school, the Middle School, and the golf course. Come see this home and make it your own! Directions: Diamond to north on 38th. Left on Villa, Left at Aspen school, house is on the Left before the bend in the road.